Welcome to the Abyssal Arena update! The new battlefield might be the biggest features present, but with two new abilities to learn, new expansions on the Item Composition system, numerous new events and sales and dozens of other changes before you, there's plenty here to delve into, so take a look at it all below! The Ein Lacher Challenge brought you face to face with a single boss and gave you a simple task: Win as cleanly as you can, win with absolute perfection, and win without suffering a even a scratch for the best possible rewards. Every Wednesday and Saturday, the Abyssal Arena brings forth a far different obstacle, and if you play it safe, you won't get anywhere. The new Abyssal Arena battle quest takes you to a small arena, where wave after wave of foes will test your ability to kill in the blink of an eye. Upon entering the Arena, you'll have 12 minutes to fight. 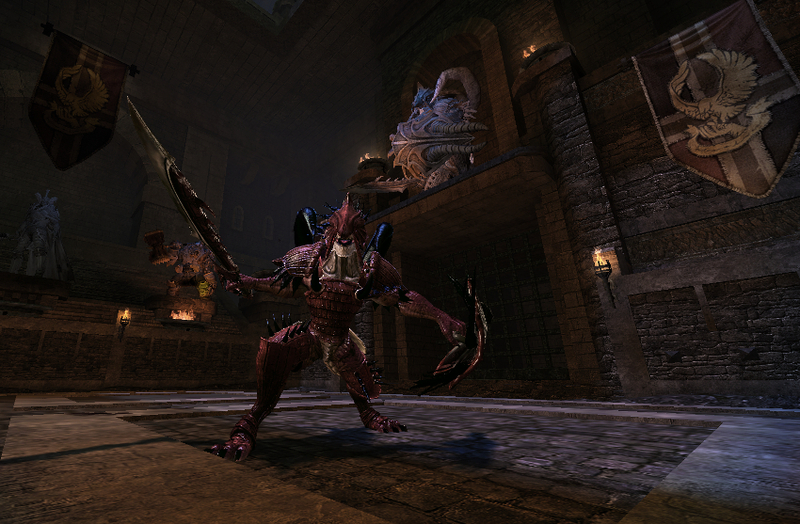 Defeat all the monsters, and a new wave of enemies will appear, culminating in a powerful boss from Vindictus' past. Defeat the boss to clear each level of the Arena, sending you down to the next level with 2 minutes added to the clock. Each boss you slay will grant you a new cache of AP, each new level will give you a new set of foes to dispatch, and if you can slay the champion of the Arena before time expires, there's a bounty of Seals of Bravery for you to claim. Just don't entirely forget about defense: Your HP, SP, Stamina and Armor Damage will not reset between each level, and sheer attrition can wear down even the mightiest warrior. Characters can compete in the Abyssal Arena up to 3 times every Wednesday and Saturday, with millions of Gold and EXP, plus up to 200 AP, on the line, so get yourself ready for action! Throughout 2015 and 2016, we've been going back to our array of Mercenaries and giving them tune ups, shoring up their weak spots and giving them some new powers. With the Abyssal Arena update, it's time for Arisha and Lynn to get some tweaks to their key abilities, as well as one big attack for the little lady with the lance. Lynn finally receives her Ultimate ability, the Rising Dragon, a blistering series of attacks to utterly devastate any foe that gets on Lynn's bad side. Just as with the Ultimate attacks for other characters, her target is stunned for the duration of the assault, with a long cooldown and hefty SP cost required to activate it. Arisha gains the ability to convert her SP into Mana with her Mana Drain ability. Arisha will drain 250 SP in exchange for 100 Mana, helping her power up for another round of Mana Blade attacks. Once you get your Season 3 equipment loaded up with Legendary Shards and Essence, it can be hard to find improvements, even if your equipment is still not quite as powerful as it could be. 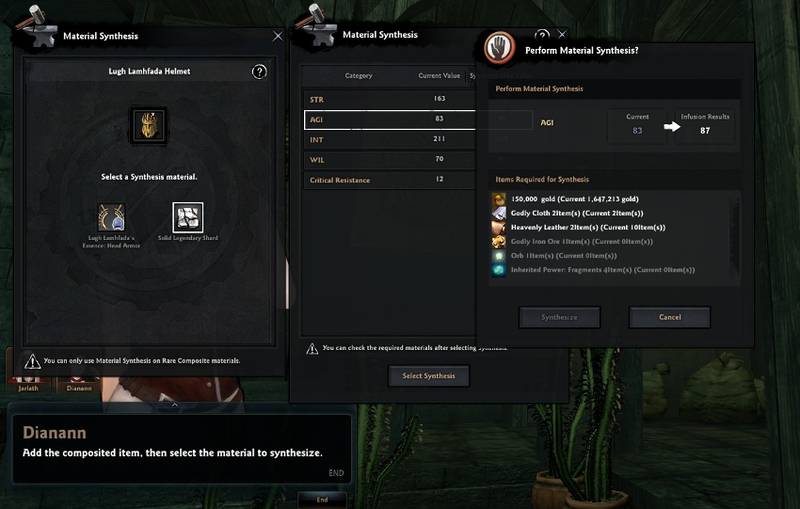 Material Synthesis is your solution to getting past the RNG and directly upgrading each component of your Equipment! Head to Dianann in Rocheste and with her new Material Synthesis, equip an item with a Rare-Quality Composite Material. Select the Material and a stat to boost to see the costs required. The cost to improve the material can be steep, but the selected stat will always increase to the noted amount with zero chance of failure. You can even change the Special Effects on some Essence materials! If you've done enough Season 3 Raids, you no doubt have plenty of Shards and Essence that you no longer need. 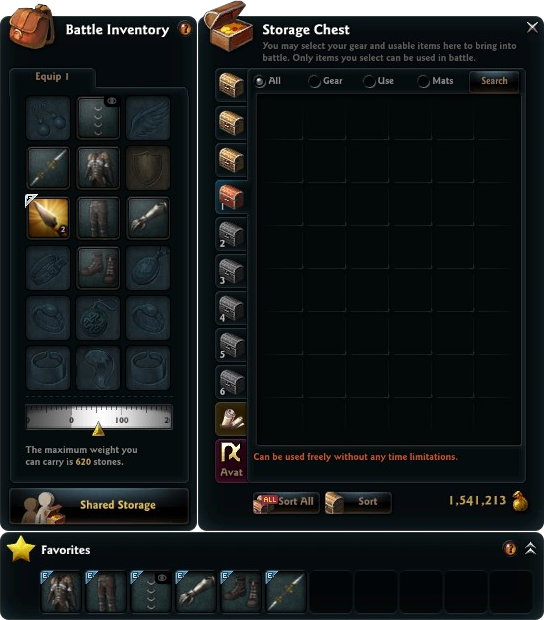 Now, you'll have a use for all those items, by converting them to Fragments. 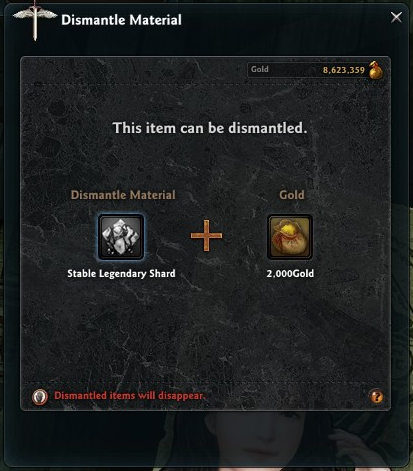 Dianann can now take your unwanted and unused Composite Materials and break them down into Legendary Shard Remnants, which can be exchanged for Legendary Shard Pouches at 5 per pouch, and Sealed or Inherited Power Fragments, which are used in Material Synthesis to further upgrade your equipment. 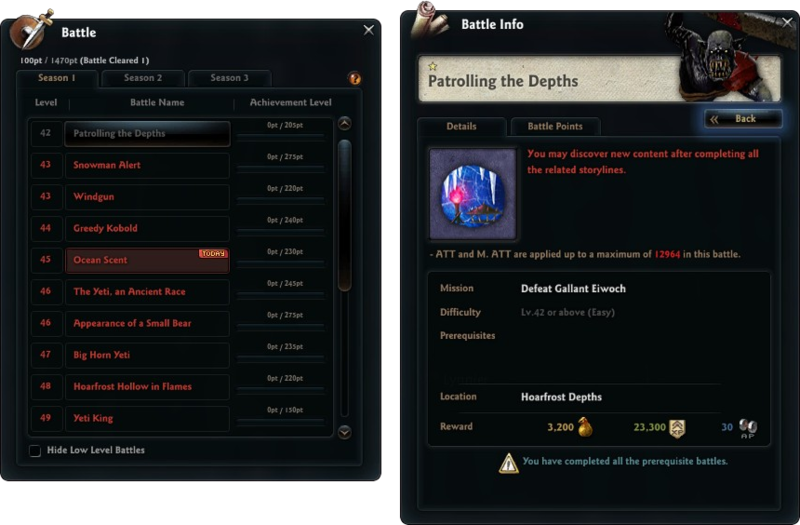 Many Battle Quests throughout Vindictus have a cap on the maximum amount of ATT or M.ATT a participating Mercenary can have, with over-equipped characters seeing their ATT and M.ATT lowered if they exceed that cap. While this has been present in Vindictus for a long time, we have added that information to the Battle Quest's info, to better explain why your power in earlier dungeons may feel depressed. That being said, given their greater difficulty and other strict restrictions, we have removed the Attack Cap for all Niflheim encounters! You will now be able to face these intense, difficult battles at your full power! 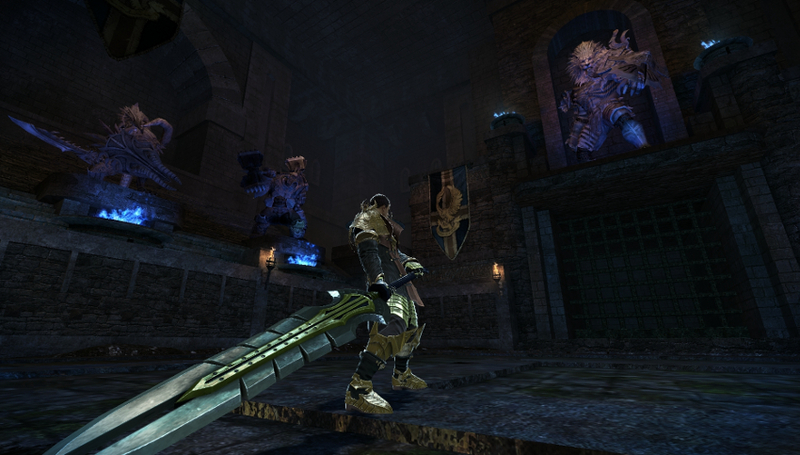 The biggest key to success in Vindictus is learning your character, the strategies and techniques that unlock the full power of your chosen Mercenary. What better way to do so than getting info from your fellow players? Vindictus has added special, Mercenary-specific chat channels, where you can converse with players that use the same Mercenary, sharing information and strategies for the betterment of all. You automatically join the channel with a special tab already made for you. You can leave it at any time, and can send messages to the channel by entering the Mercenary name after a slash (eg: /sylas, /delia, /arisha). Inventories can get cluttered, and losing track of where your favorite dress or broadsword is can be a frustrating experience. We've added in a "Favorites" inventory option, allowing you to mark up to 12 items that will always appear below the inventory screen, allowing you to inspect them, upgrade them, equip and dequip them all without having to go hunting in your storage chest for where you left it. We've also gone back to the loot tables for the Season 3 Raid Bosses and added in the most powerful Enchant scrolls, making sure to reward those Enchant Scrolls at the same rate as with the Season 2 bosses. This will allow you to work on gearing up with the best equipment available, without giving up your chance at claiming powerful and rare enchants. 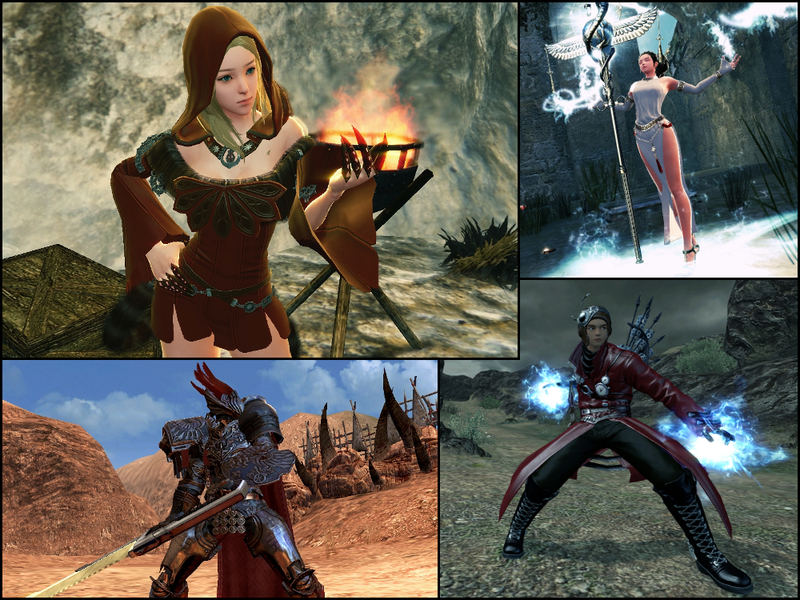 Black Friday is the busiest shopping day of the year, and there's no way that Vindictus is skipping out on the fun! 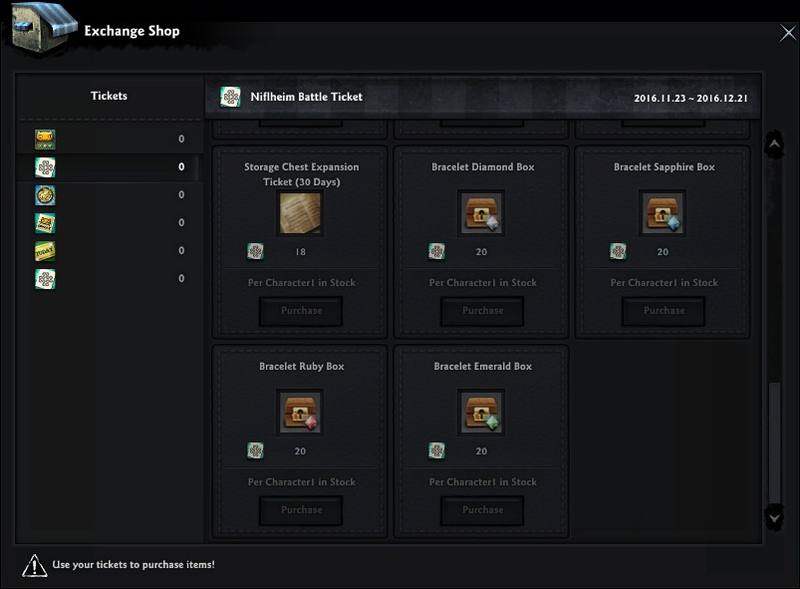 We have new packages, special deals and a Lucky Box filled with some of the most valuable items in Vindictus' history. Check out the Black Friday Sales Events every day for our daily deals! The Abyssal Arena might be the headline, but there's plenty of Events to serve you for the next month. Return to Niflheim for better rewards, earn Ancient Coins for the Enchant Scroll you want and more! Check out all of the events with the Return to Niflheim Events post! Spirit Rend has been changed to be able to use at 3-hit normal attack. Spirit Rend timing has been changed to be easier to use at 4-hit normal attack. Fixed an issue where Thor was unable to target players in specific areas of the map in the battle "The Dark, Dank Sewers"